President Trump will sign the Congress-approved $717 billion defense policy bill for 2019 at Fort Drum in New York, Washington Examiner reported Wednesday. Last week, House and Senate lawmakers finalized the 2019 National Defense Authorization Act, which includes provisions to prohibit the government from using technologies from Chinese telecommunication firms and boost the authority of the Committee of Foreign Investment in the U.S. 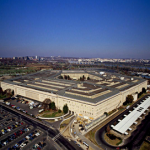 The legislation allocates $616.9 billion in base budget for the Defense Department, $69 billion for the Pentagon’s overseas contingency operations and $21.9 billion for the Energy Department’s nuclear weapons programs. The bill would additionally increase the salaries of U.S. troops by 2.6 percent, as well as support the U.S. Navy’s modernization program. Fort Drum serves as the base of the U.S. Army’s 10th Mountain Division.